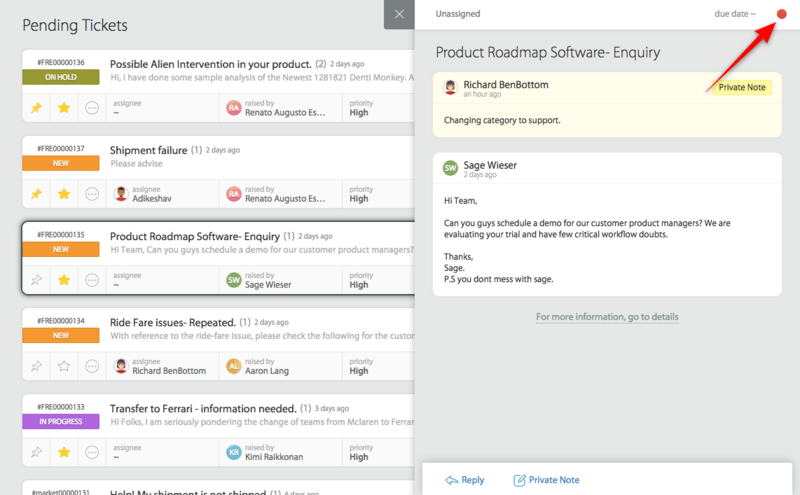 Quickly identifying unresponded tickets can reduce turnaround time for customer queries and help you engage your customers better. 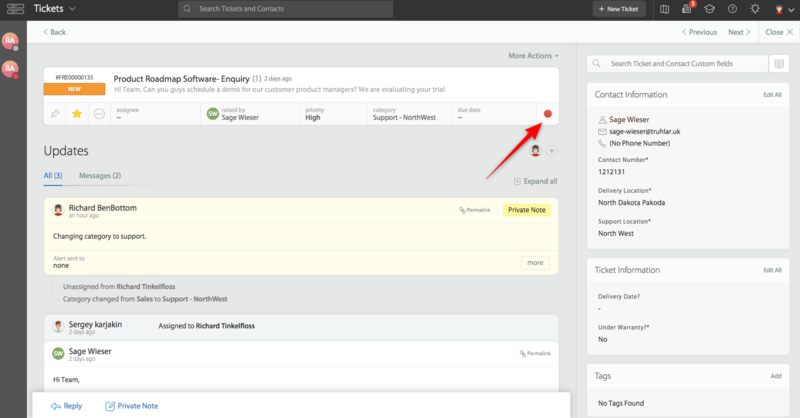 In HappyFox, you can quickly identify unresponded tickets by looking out for the "Indicator bulb". The indicator is "Red" for unresponded tickets. What Does the Red Indicator Signify? The red indicator means that the last response on the ticket was made by a contact. 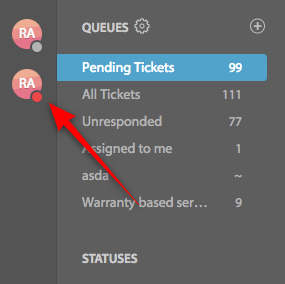 When you reply to this ticket, the indicator turns grey - implying that the customer is not waiting for a response. Adding a private note will not mark the ticket as responded. The unresponded indicator will still remain red. Ticket list page - card view. Ticket list page - compact view. Alternatively, you can set up a filter or a queue with the condition "Unresponded" to find out the tickets which have not been responded. Learn more about other ticker filters here.